It is increasingly evident that companies are becoming more aware of the fact they need to embrace a mobile strategy. Not only has the constantly growing number of mobile devices and the number of mobile-only internet users overtaken desktop, but app usage has also surpassed desktop usage. As a result of this shift, companies are re-thinking their mobile strategies. The major question that most companies seem to be grappling with is whether a mobile app or a mobile website is the right way to go. Many will argue that you don’t need a mobile app, you just need a website that looks good and functions well on mobile devices. Others will argue that mobile apps have benefits that a responsive website cannot offer. However, when digging a little deeper, there are a myriad of factors that need to be considered before deciding. When it comes to mobile app vs mobile website, it can be difficult to determine where to focus your efforts. Why? Because we are talking about two different mediums that allow customers to connected and interact with your company in very different ways and for very different purposes. In this post, we are not going to tell you which one is better. Instead, we will make you understand the huge difference between these two and the final decision will be yours as to which one you want for your business. Before going further into this discussion, you should understand that these two elements serve slightly different purposes. Now, let’s get started. 1. Mobile App Vs. 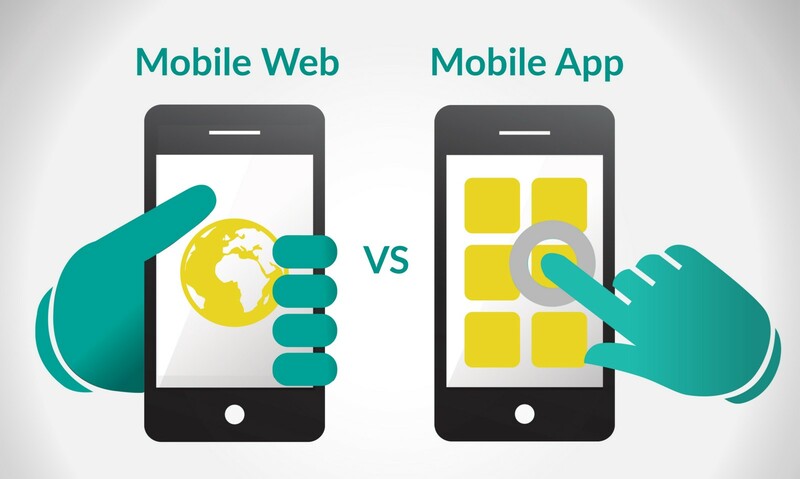 Mobile Web: What’s the Difference? Before you can evaluate the benefits of a mobile website vs. an app it’s important to understand the key differences between the two. Both mobile apps and mobile websites are accessed via a handheld mobile device such as a phone or tablet. It is also important to know both mobile apps and mobile websites can be accessed on iOS and Android devices (Includes smartphone and tablet users). A mobile website is similar to any other website in that it consists of browser-based HTML pages and can display text content, data, images, and video. They can also access mobile-specific features such as click-to-call or location-based mapping. The obvious difference between a standard website and a mobile website is the latter is designed for the smaller handheld display and touch-screen interface. Increasingly, responsive websites are becoming the new standard for website design. A responsive website is not only mobile-friendly, but that can scale to any sized device – from desktop down to tablet and handheld smartphones. Mobile apps, on the other hand, are applications that are downloaded and installed on a user’s mobile device, rather than being rendered within a browser. Users need to visit device-specific portals such as Apple’s App Store, Android Market, or Blackberry App World in order to find and download apps for a given operating system. An app can pull content and data from the Internet, similar to a website, or it can download the content so that it can be accessed without an Internet connection. We’ll dive into the pros and cons for each, so you can make a more informed decision when establishing the smartest mobile strategy for your brand. When it comes to deciding whether to build a native app or a mobile website, and which one is better the most appropriate option will all depend on your company or business goals. So, you are the deciding factor here. If you are developing an interactive game for argument sake an app is probably going to be your best option. But if your goal is to offer mobile-friendly content to the widest audience possible then a mobile website would be the best option. However, in some scenarios, you may want to have both a mobile website and an application, but this will all depend on your business goals. What is your available time and resources? Every industry has its own peculiarities, and it can be so, that only apps can afford to achieve success you need. In general, consumers tend to use mobile web for utility-directed tasks like searching, booking, and purchasing products. When entertainment and communications come into play, mobile apps are, for the most part, a far more favoured alternative. In addition, it is also important to be clear on your answers to the below. #1 Do you want to reach more users? #2 How often do users interact with your brand a day? #3 Do you need to access phone native features? #4 Do you care about speed? #6 How often is your user going to use your product offline? #7 What is the size of your budget? #9 Do you think you’ll be improving = updating your app very often? #10 Does your competitor have an app? Generally speaking, a mobile website should be considered your first step in developing a mobile web presence, whereas an app is useful for developing an application for a very specific purpose that cannot be effectively accomplished via a web browser. But before we move on to the differences between mobile websites and mobile apps, it’s important to point out a caveat: A responsive designed website is not the same as a mobile website. SEO Single website/URL; content is optimized across all platforms Multiple URLs; each will need its own SEO. Before delving deeper into the benefits of each, below is a short comparison. A. Mobile apps provide a superior user experience. A mobile app takes user experience to a whole new level by combining content, navigation, and integrated mobile device functionality (sound, video, images, location, etc) in a way that optimizes the user’s experience. A native app engages the user beyond the capabilities of a display-only mobile website and provide a more personal, efficient, and responsive overall experience through allowing the user to personalise their experience. The superior user experience is one reason that mobile device users spend 86 percent of their time interacting with mobile apps compared to just 14 percent using mobile browsers. B. Mobile apps give you a direct communication channel to your customers. Once a mobile app has been downloaded to as user’s device, it’s always there, reminding them of your brand even when they aren’t actively engaging with it. With an app the information you most want your customers to have is right there at their fingertips a tap away. When paired with push notifications information about products, prices, sales, promotions—whatever you want, as a brand you are provided with a level of direct interaction most marketers dream about. C. Personalisation & customer engagement. Personalization is about offering individualised communication to users based on their interests, location, usage behaviour, and more. With mobile apps, it’s easy to offer users a personalized experience. Mobile apps can let users set up their preferences when they originally download the app, and customize it to suit their needs, providing them with more interactive ways to engage with your content. Rather than looking at the exact same text and images as a website, by prompting users to allow geography-specific content such as special promotions or deals at a particular store location apps can integrate features which allow users to interact with certain components of the app thereby becoming more immersed in your brans. D. Mobile apps have functionality even when they are offline. A major advantage of apps over mobile websites, is the fact: customers can access information on your app even if they aren’t connected to the Internet. You can create maps, how to guides, videos, menus, maps, podcasts, games, and more —there’s no real limit to the offline information you can put into your app. Mobile apps can run without internet connection. Although many apps require an active internet connection to perform most of their tasks, they can still offer content and functionality to users while not connected to the web. The major advantage mobile apps have over mobile websites is free prime real estate on your customer’s device. Even when users are not actively using a mobile app, they are still reminded of your brand daily, simply because your app icon acts as an advertisement for your brand. Even though a mobile app exists as an entirely separate entity from a company’s website, it can offer new branding opportunities to users. This means that companies can experiment with new branding tactics and styles with a mobile app. If you need something that will take data and allow you to manipulate it with complex calculations, charts or reports (think financial or scientific tools) an app will help you do that very effectively. Mobile web browsers are getting increasingly good at accessing certain mobile-specific functions such as click-to-call, SMS, device libraries and GPS functions. However, if you need to access a user’s camera or processing power only a native app can interface with the device’s features and hardware, such as the camera, GPS location, and so on. If your goals are primarily related to marketing or public communications, a mobile/responsive website is almost always going to make sense as a practical first step in your mobile marketing strategy. This is because a mobile website has a number of distinct advantages which are more aligned with top of the funnel activities, such as growing and nurturing a steady stream of new leads, in addition to benefits such as broader accessibility, compatibility and cost-effectiveness. Because a mobile website is accessible across most platforms and mobile devices it can be easily shared. It’s easy for users to share a URL for your mobile site in an email or text, and it is easy for publishers to direct customers to a mobile website in the same way. It is not as easy to share an app or content within an app. Unlike a mobile app, which must be downloaded and installed on a mobile device, any customer can access your mobile website whenever they want from whatever device they are using at the time. B. You only need one version. Because mobile websites are accessible across all device, you only need to create one version for Android and iOS. With mobile apps, you need to decide which operating system you’ll use, or else develop two versions, one for iOS and one for Android. In this regard, mobile websites are much simpler to develop and maintain. Complexity aside, a responsive mobile site is generally more cost-effective to develop than a mobile app. This holds true if you want your app to have a presence on more than one platform. It is usually also less expensive and less labour-intensive to update and maintain a mobile website. Properly supporting and maintaining an app (upgrades, testing, compatibility issues and ongoing development) is more much more expensive and involved than supporting a website over time. E. You can instantly update your mobile website. Unlike apps it’s very simple to update the content, appearance, and functionality of a mobile website. Once you make the changes and hit “publish,” the changes are instantly available to anyone who visits the site. Mobile apps, on the other hand, require users to download and install updates once you push them out. Although Google is now indexing app content and including apps in some search results, it is generally much more common for mobile websites to show up in search results than for a query to return a mobile app. Having a mobile-friendly site means you are more likely to rank better, which results in greater brand visibility and higher website traffic. The final call should solely depend on your business goals. If your mobile goals are primarily marketing-driven, or if your aim is to deliver content and establish a broad mobile presence that can be easily maintained, shared between users, and found on search then a mobile website is your best bet. On the other hand, if your goal is to provide a user experience that feels more like a gaming interface or a computer program than a website, or if you need access to a user’s phone storage and native functions, then an app is probably going to be required. It’s also important to remember that a mobile/responsive website and a native app are not necessarily mutually exclusive. Plenty of organizations have both a mobile-friendly public website for their general web presence, as well as a downloadable native app to accommodate more specific requirements. In the end, it’s all about choosing the right tool for the job. How many times have you checked your smartphone today? 25 times? 50 or more? Do you even notice you’re doing it anymore? The proliferation of mobile devices has transformed us into an app-driven society. Not only individuals but also many South African businesses are firmly embracing this trend, with the average small business’s owner using 18 apps to run their company every single day. Running a business means handling endless tasks. Staying organized, focused and sane through it all can be a challenge for any size business owner. By using a variety of billing & invoicing, project management, CRM, marketing and productivity apps to improve your business processes, it's easy to create one centralized place where you and your team can get things done. If you think that mobile apps are solely for big name brands like ABSA, Takealot and OUTsurance, you are wrong. More and more small and midsize businesses are following the mobile trend, understanding that an effective mobile strategy involves more than just a mobile-friendly website. Businesses today want to provide their clients with a flawless experience – every time, and the only way to do this is to embrace technology and though mobile apps. Many companies are already leveraging the power of mobile apps to improve their business processes, making their operations convenient, efficient and profitable. Using mobile apps, these businesses are augmenting their capabilities, exploring novel possibilities and transforming everything about the way their businesses operate. But still you may wonder - do business apps really deliver what they promise? Or are they just another expense that, in the end, can’t really be justified by their ROI or deliver on improving your business processes? You probably use dozens of business processes every day, without even realising that it is a process. For example, you may go through the same steps each time you order a part from your supplier, capture a new and prospective clients information, resolve a customer complaint or provide a quote to a client. You've likely come across the results of inefficient processes, too. Dissatisfied customers, overworked colleagues, missed deadlines, and increased costs are just some of the problems that dysfunctional processes can create. That's why it's so important to improve processes when they are not working well. In this article, we'll look at the benefits associated with improving your business processes through the use of business apps. A business process is a collection of linked or related, structured activities or tasks performed by people or equipment; which in a specific order produce a service or product for a particular customer or customers. A business process can also be defined as a set of activities and tasks that, once completed, will accomplish an organizational goal. Internal business processes occur at all organizational levels, and can generally be categorized into management processes, operational processes and supporting business processes. Processes can also be formal or informal. One of the best examples of how globalization, increased on the go connectivity and a mobile app can help you enhance business process is a banking app. There are many banking apps used extensively, no matter what part of the world you are in. Using such apps, South African customers can purchase airtime, pay bills, order products online, check statements, make payments, and do a lot many banking activities by simply tapping on your smartphone or tablet using your fingertips. If we talk about the business-specific impact of such banking apps, it’s remarkable. Consider SnapScan for example; a quick, easy payments app for you and your customers that allow customers to pay you wherever you are. With SnapScan, they can pay their bill from the table, at the coffee counter or at the usual point of sale. The business benefits? Improved payment efficiency, which means you can serve more people in less time. Not only does it increasing your operational efficiency, but if your bank account is linked to Sageone accounting software for example, at the mere click of a button you can import all your sales into your accounts. The more comfort and convenience you can offer to your customers and prospects by using external apps to compliment or augment your internal business processes, the more they will be attracted to your business. This also helps increasing retention value and find new customers. If not for sale, apps can also be used as a marketing and promotional tool. For example, a restaurant owner can create an app that allows its customers order food via app through their smartphone or tablet. Similarly, those in the hotel industry can create an app and let their customers book accommodation using their handheld devices. Management Processes: The processes that govern the operation of a system. Operational Processes: The processes that constitute the core business of the organization and create the primary value stream. Supporting Processes: The processes that support the core processes. Examples include accounting and technical support. Formal processes – also known as procedures – are documented and have well-established steps. For example, you might have procedures for receiving and cataloguing goods to your store invoices, or for establishing relationships with new clients. Informal processes - are often ones that you have created yourself and have not written them down. For example, you might have your own set of questions when communicating with a prospective client or making notes. All business processes have one thing in common: they're all designed to streamline the way that you and your team work. How does apps affect each of the 3 different levels of business processes? As the name suggests, an operational process is a primary or basic process through which any company delivers services/ products to its clients. It is an integral part of any organization and need to be paid close attention to, as it directly affects the deliverables to the clients.It is a process that relies on efficiency and accuracy, and by improving this process it has a direct effect on the output of the enterprise. By connecting your people to your operational systems, not only can you streamline tasks to Improve Efficiency, you can also make workflows more efficient, effective, and adaptable to changes in the business environment. But how exactly are they able to accomplish this? We’ve compiled a list of several very concrete ways in which business mobile apps can improve your company’s operational efficiency. The use of mobile business apps prevents costly errors. How many times has a mistake or even just sloppy customer handwriting on a form forced your employees to return to a job site or make a phone call for clarification? How commonly do employees lose or forget forms? And how much time gets eaten up resubmitting paperwork by printing forms, filling them out, scanning them, and then emailing them? Apps remove operational inefficiencies like these from the equation. We humans are fundamentally flawed. Whether we like to admit it or not, we all have our strengths and weaknesses. Consider absent minded-ness; being preoccupied to the extent of being unaware of one’s immediate surroundings. Abstracted, daydreaming, inattentive, oblivious, forgetful. We are all guilty of this at human trait, especially when we are at work. Mind-wandering is an under recognized influence on work performance, which can lead to mistakes and inefficiencies in any business process. Efficiency in performing a process or a job function is dependent upon an individual’s ability to access and/or provide information timeously and accurately to management, co-workers or to clients to achieve and realise set company objectives. By using apps such as Evernote, Microsoft Office for Mobile, Hours, Adobe Acrobat Reader, Anylist and many more apps workers are able to Ensure Efficiency through the use of Productivity Apps. By using apps, you can help reduce mistakes and miscommunication, a very common occurrence in many organizations, resulting in making an organization’s workflow more efficient, effective, and adaptable to changes in the business environment. Not only can apps increase efficiency but also productivity. Consider, for example, you’re on a sales call at a prospective client. If you have mobile apps to manage sales and inventory, you can close the sale right away. But if you have to check stocks, availability, pricing, etc back at the office before closing the sale, you could lose the sale altogether. Customer information stored in filing cabinets can take too much valuable time to locate. Even saving it on a desktop requires that employees be at their desks in order to access it. Keeping all that information in the cloud, and instantly accessible from any location through an app, streamlines any task requiring customer data. Enterprise mobility solutions also save time by making processes easier for employees. Rather than writing or even typing data onto a form, apps can provide drop down menus and check boxes to simplify the process. They can speed up the processes of sales prospecting, of providing job quotes, of crew deployment, of invoicing. And all that extra time can now be used for revenue-creating purposes, rather than administrative tasks. Adaptability means as a business you are able manage situations outside of the ordinary, like custom orders and rush sales. The ability to do these things means you’re able to offer better service to customers. And when you offer better service to customers, you gain an advantage over your competitors. But it’s not just the sales department that benefits from mobile business apps. Manufacturers, field service workers, quality assurance supervisors— can all benefit from mobility, especially in the form of mobile business processes. Having processes, forms and data on hand-held devices means data gets into your system faster, workers are more efficient, and tasks are more convenient. It’s a win-win-win. Many workers — such as nurses, first responders, field service technicians, or delivery drivers — depend on reliable mobile access in real-time to critical information at the point of interaction. When it comes to modern-day business, enterprise mobility is not a luxury anymore but a competitive advantage. Enterprise Mobility allows employees of any business organization to work remotely and to fulfil business tasks and activities using mobile devices, mobile applications, and cloud-based solutions. Critical issues may crop up in a business environment anytime, without prior notices or hints. Enterprise mobile applications allow the employees to resolve such issues on an urgent basis irrespective of their presence and availability at the office location. Real-time interactions are also made possible with the clients that result in better customer engagement and satisfaction. E. Mobility solutions reduce overhead costs. Paper is slow and expensive. Even just storing paper - printing and filing - is much slower than storing files digitally. Digital files are also more environmentally and health and safety friendly than paper, which is a growing concern, especially when you’re dealing with a lot of files which could be a fire hazard. In addition, storing paper requires a lot of space, it can be lost or damaged. Storing data digitally is also much easier, and if you’re storing files on a cloud server (or your own server), the data is much more accessible than paper files. Think about all the paper you’re still using in your business, especially paper forms – and the time it takes to fill them out before having to capture the details electronically again? Imagine if you could take all those paper forms and not just digitize them but think about all the paper you’re still using in your business, especially paper forms – and the time it takes to fill them out before having to capture the details electronically again? Imagine if you could take all those paper forms and not just digitize them but make them accessible on mobile devices. Imagine how much easier that would make things like quality assurance, inventory management and logistics. Why do businesses have bad data? There are many reasons, but the biggest one is simply human error. Humans are fallible, after all: sometimes we don’t pay 100% attention, or we forget details before we have a chance to write them down. Why does good data matter? When you have good, reliable data in your system, you’re equipped to make better decisions about your business and align processes to achieve desired goals. If the data is accurate, it will provide you honest insight into your business. If the data isn’t accurate, you’ll be basing your decisions on a shaky foundation. Mobility might not take humans out of the data collection process altogether, but it can definitely reduce human-caused errors by streamlining business processes for better decisions. By implementing the use of mobility solutions to streamline your processes, your business can realize a significant ROI in operational efficiency, cost reduction, and time savings. Support processes are the processes which do not deliver the final product/ service to the client, but it creates an environment that is suitable for the primary processes to function smoothly. These processes do not directly generate value to the customer. Having said that, the support processes are also vital for the enterprise. The processes like management processes, accounting processes, and human resource processes facilitate the working of an organization. Enhancing these processes means making the fundamentally and strategically strong. Although the support processes, do not add value to the client directly, they help in developing a solid working environment. Similar to support processes, the Management processes do not add value to the end customer. These processes are more oriented to monitoring and analysing the business activities. These processes deal in up scaling the business, introducing new verticals and bringing innovation to the firm. Management processes are goal oriented and aim at designing and achieving tangible as well as intangible targets. Management processes help in making the enterprise a brand and by standing out and providing its clients with value in intangible terms. Once the understanding of processes is clear, identifying the process which is to be optimized to achieve the set target becomes very clear. The rise in mobility coincides with the ability to use applications to streamline workflow processes. By leveraging and deploying either custom or existing mobile applications that can be integrated into existing operational processes and systems, it offers organisations an opportunity to streamline this process and stay ahead of application demands. Many organisations today are facing a battle to keep up with the demand for mobile applications in a timely and budget friendly manner. Mobile applications can take an average of five months to a year to develop and cost an average of between R50,000 and R250,000 per application. Is it not time you talk to iSolve Mobility about your next Business Application? These are common questions asked everyday by beginners who are eager to learn how to code and develop iOS or Android apps. No doubt you’ve already googled something along those lines and read enough articles/answers that all say the same thing. You have probably come across various articles such as; https://thinkmobiles.com/blog/best-app-development-software/ a very good starting point if you are looking at a DIY solution. 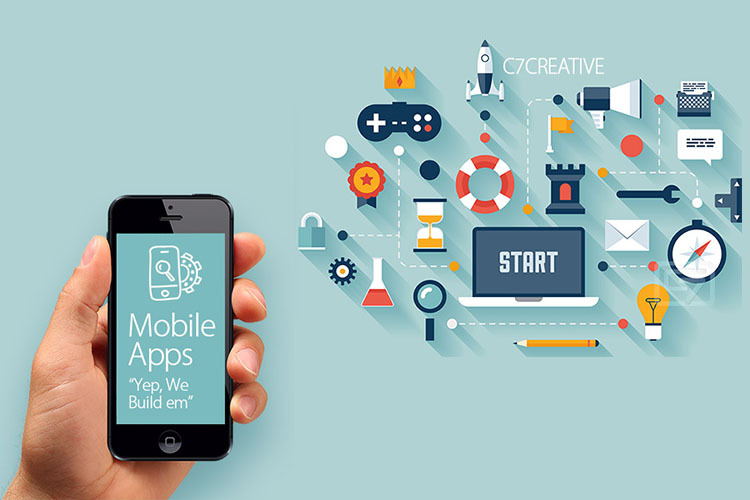 However, if you plan to master the art of the app development, then you should read on. In today’s fast paced world, the mobile app market is expanding by leaps and bounds. Providing seamless, yet engaging experience on mobile is now more important than ever, and it gives a true competitive advantage to businesses that get it right. Consequently, as mobile app designers and developers we are always looking for the right tool that will make our designs, functionality and usability worthwhile for the end user. Developing a valuable mobile app requires top notch skill, creativity, and of course the right tools. While it’s still essential to sketch your wireframes and products prototype on paper, and to be particular about the approach being followed for mobile app development, app designing software is making it easier and less tedious to share finished or unfinished jobs with clients, developers, and designers. Here’s the situation: you’re a developer and have all the necessary tools to code an amazing app. But you’re a bit stuck as far as the design, and with so many design tools everywhere nowadays, it can be challenging to choose the best tool for your particular type of app. Without the mastery of industry-standard design tools like Adobe Photoshop, how do you design a mobile app that reflects your inner genius? How do you make an app that is both visually stunning and easy for users to navigate? Good news is, we’ve distilled 50 tools mobile app developers prefer to use. We’re confident that you’ll find the right tool with the functionality you need from this list. There are a large number of tutorials and learning material on the net to learn iOS app development and Android App Development. For the purpose of this article we will be focussing on (WORA), the concept of write once, run anywhere app development platforms and resources. With WORA a developer writes code once on one platform, and runs it on multiple platforms, with the explicit aim being to save time and effort on the part of the developer. As a developer one is able to reuse the code and can design apps that can work efficiently on multiple platforms, including Android, iOS, Windows, and many more. Codename One is a framework that supports popular IDEs like NetBeans, Eclipse, and IntelliJ IDEA. Suitable for rapid application development, it allows a developer to write code in Java, as well as test and verify the application with Codename One’s simulator devices and test automation tools. One of the main features of its build server is that a developer can build native iOS apps as well as native Windows apps without a Mac machine or Windows PC. 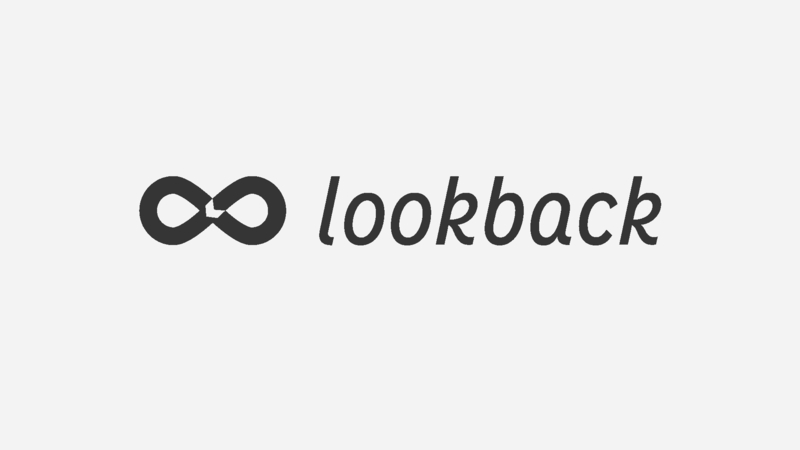 We recommended using this platform for developing iOS apps. A large drawback of Codename's graphic UI is its outdated visual themes, as well as the fact that all the event handlers are stored in a single file, which makes the development more cumbersome. We do not recommend using it for large projects. The only limitation in this tool is it is not suitable for graphics-intensive apps. The only disadvantage is the slow response of its support team, especially the developer community. 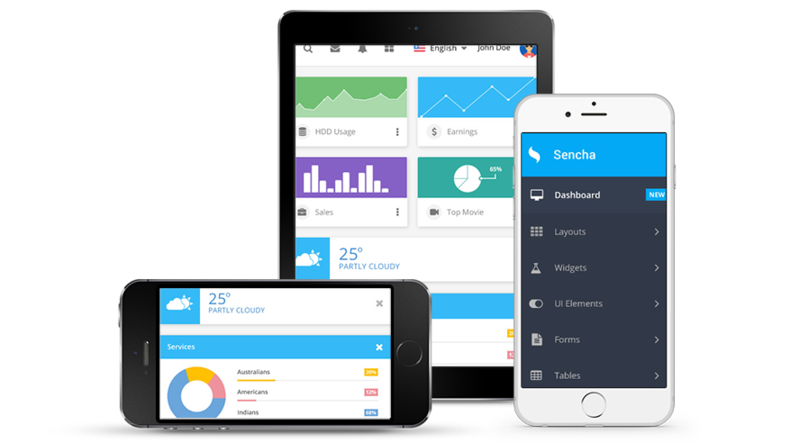 Apart from the fact that the commercial licensing feature of Sencha touch is not easy to comprehend, and its limited number of native looking themes, the Sencha Touch platform is an ideal choice for building cutting-edge apps on a cross-platform mobile app framework. 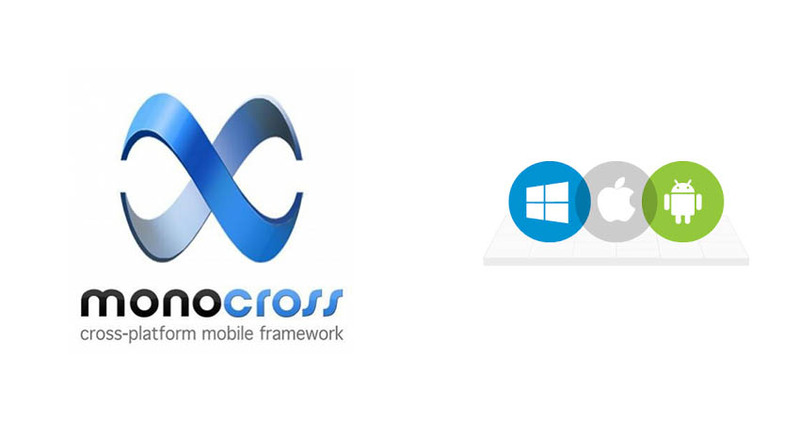 Monocross is the perfect platform for building interactive and interesting apps for smartphones and tablets. What makes this open source, cross-platform framework so amazing, apart from the fact that it supports C#, Microsoft, .NET, and the Mono framework, is that it gives the developer full access to the native device APIs while still coding in C#. The two main drawbacks of Monocross are; the lack of enough resources to learn about the framework and document and support for the framework are few in number on the internet. The only drawback Kony Mobile Platform is the scarcity of documentation and resource support for developers. 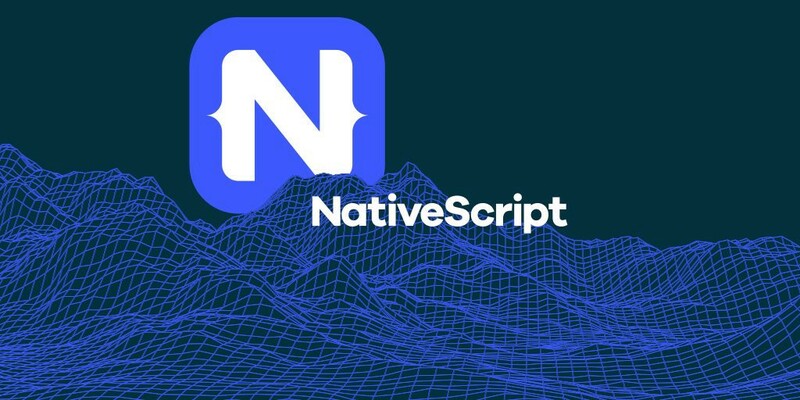 But apart from that it is a platform that is laced with features like automatic coding, app preview facility, an API connection, and a range of pre-built apps that make it easier for novices to develop an app easily. As with Kony and Monocross, the resources are not extensive; and it is difficult to find useful examples and documentation on each of its features. 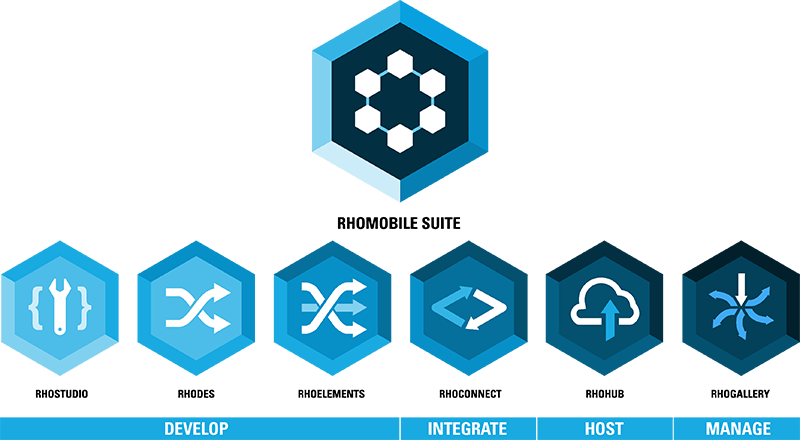 The RhoMobile framework offers application tools to developers for developing multi-platform, native mobile and enterprise applications. RhoStudio comes along with a free Eclipse plug-in; it allows developers to generate, develop, debug, and test applications, even in the absence of other hardware or an emulator. Here, a developer can easily access an offline data with Rho Connects. Cons: One of the biggest disadvantages with RhoMobile is Its RhoElements RFID plug-in is not freely available for Windows Mobile/CE. 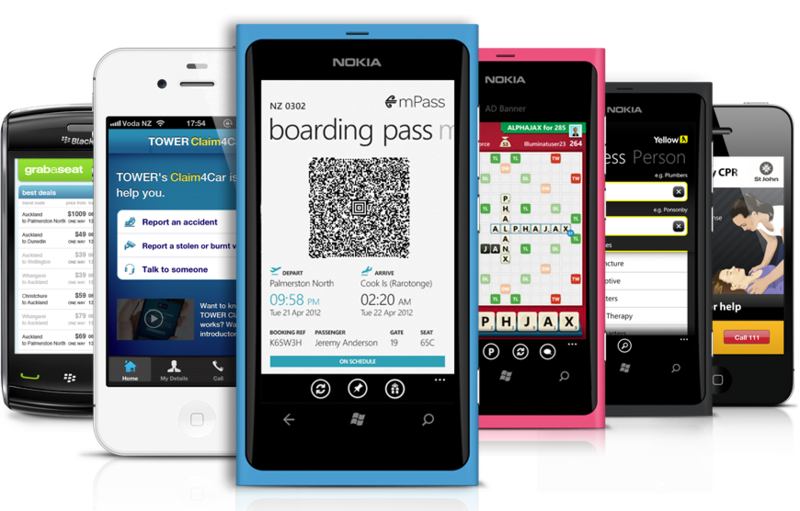 Xamarin has made it possible for the developers to design native apps for multiple platforms using only C# code base. The tool allows developers to use the same IDE, language, and APIs everywhere. Xamarin cross-platform development has been adopted by big names like Microsoft, Foursquare, IBM, and Dow Jones. If a developer wants to use Ruby or C#, then it is one of the most suitable development platforms for them. Xamarin platform allows the developer to share code, which means an app can be created in less time and at decreased cost. Whether you're designing your app for iOS, Android, both or another platform entirely, as a mobile app designer are always looking for the right tool that will make their designs worthwhile for the end user. Developing a valuable mobile app requires top notch skill, creativity, and of course the right tools. While it’s still recommended that you sketch your wireframes and products prototype on paper, app designing software and resource are making it easier less tedious and easy to share finished or unfinished jobs with clients, developers, and designers. But with so many design tools everywhere nowadays, it can be challenging to choose the best tool for your particular type of app. Here we’ve brought together a list of brilliant tools to help you get from concept to finished app faster. It is segmented into General tools and then specific tools for Android and IOS. 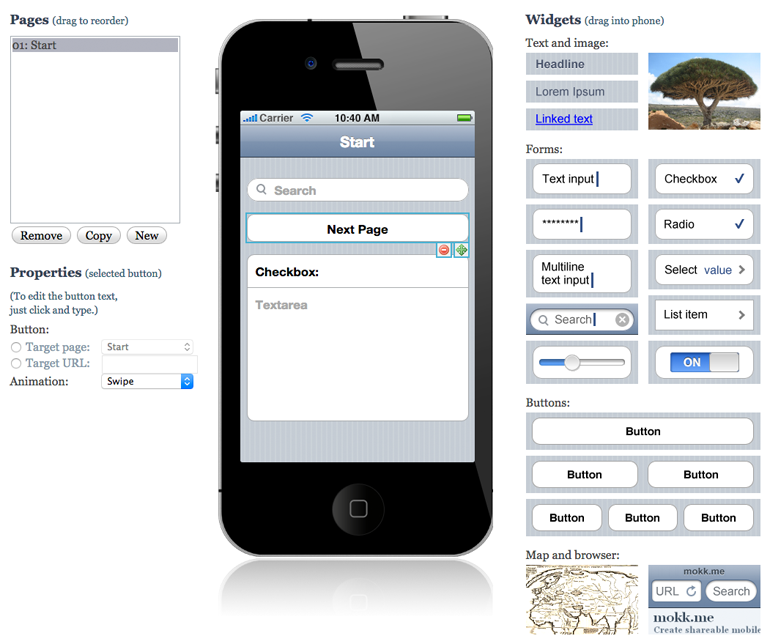 Wireframing is an essential stage when going through the process of designing a mobile app. It involves creating a bare minimum product that essentially represents the skeleton of the design of your app, and it allows you to think about structure as separate from the final design elements. It also makes it possible for you to effectively get your concept across to any relevant parties – collaborators, designers, or investors – without you personally needing any design experience to accurately express these ideas. With more wireframe tools to choose from than ever, we selected the pick of the bunch for App Development. Reliable pen and paper might be old school but still un beatable for cost, plus you don’t need any special training or tool mastery to get the most out of this wireframing method. While some designers and developers prefer going directly to Photoshop or a prototyping tool, this pen and paper I still the best method for capturing ideas quickly as they happen. For those just starting out learning how to design a mobile app, sketch paper is a great way to go to learn how to use a specialty wireframing tool. For a reasonable price, you can purchase dot-grid papers that have iPhones and iPads printed on them, it is also ideal for storyboarding or showing the various states of how your app will look in use. The Android version of sketch paper has 8 phone models printed on it. However, unlike the iOS paper (which has a dot grid), this one has no lines at all. Boasting over 175 templates and over 500 UI elements, this is a useful resource that will speed up your workflow when you are creating designs for tablets and other mobile devices, ensuring you finish your work on time and your designs always look great. This is a great tool kit for any upcoming mobile project that you might have, and a must have for all mobile web designers. It boasts thousands of amazing icons from a variety of different artists, some of which are free. 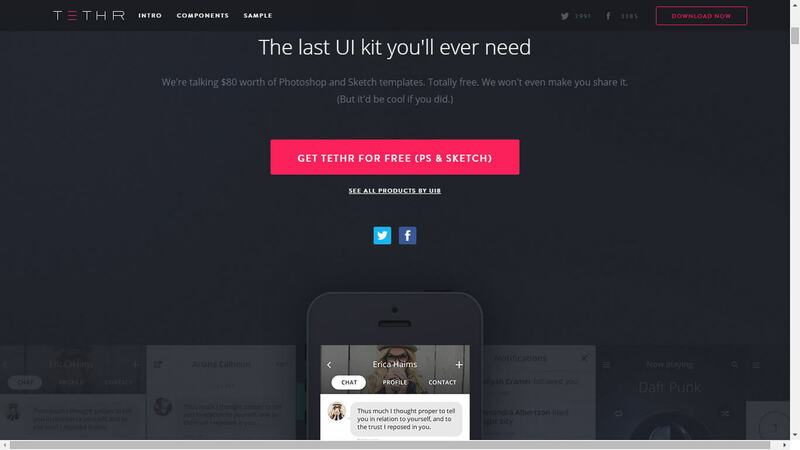 This is a comprehensive free, cross platform UI kit for Photoshop and sketch. Boasting over 52 complete design templates, 35 custom icons as well as over 180 UI components, you will have everything you need in one kit to create amazing designs. If you are looking for an online wireframing solution, with the flexibility to handle any type of design project – whether it’s for a mobile or web app, then you should consider something like MockFlow. 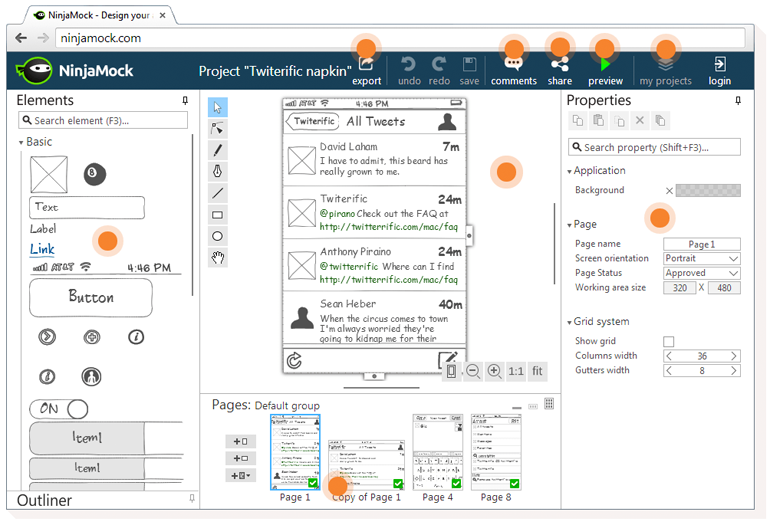 Wireframeapp.io is another web-app based wireframing option similar to MockFlow. Unlike MockFlow all plans are paid for. If you are looking for a tool to effortlessly design just wireframes with, then Balsamiq does a great job at it. The great thing about it is, that apart from being fast and offering a lot of UI elements you can make wireframe sketches or clean wireframe designs to match your thought-out design. 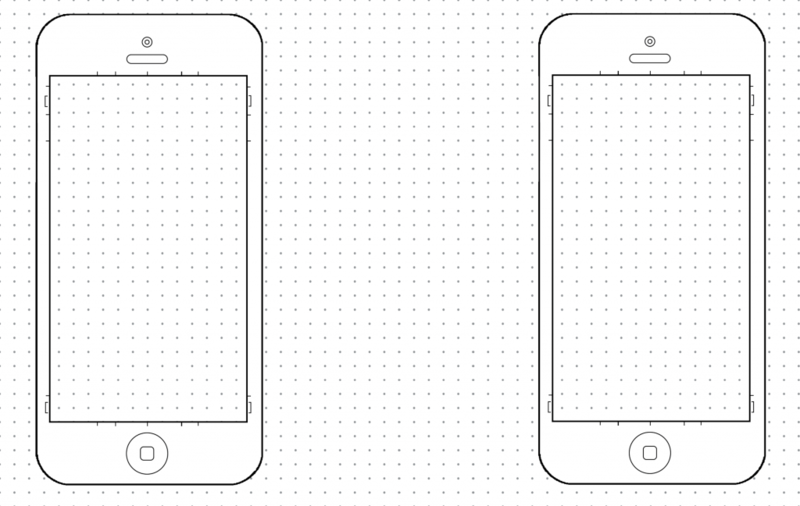 Prototyping is the next step in designing a mobile app once you’ve finished wireframing. The main reason for using a prototyping tool is to create a workable version of the design, similar to what you want the final project to look like. Marvel is a collaborative web application prototyping tool that makes it easy to turn your sketches into workable prototypes for iOS and Android. It offers the ability to add basic design elements, and also link these designs together to create a workable flow. Marvel allows you to create realistic interactions such as hover, click, swipe, pinch and more. With tons of third party integrations such as Sketch, Photoshop, Illustrator, and even those on cloud storage like Dropbox or Google Drive, Marvel plays nice with many of the other tools you already use, and the collaborators on your team. Unlike other tools, Marvel is supper specific—design, prototype and collaborate. If this sounds like what you’re looking for, then Marvel could be the design tool for you. InVision is a free web and mobile prototyping tool used by innovative companies like Adobe, Zappos, AT&T, Dell, and Sony, as well as fast-growth start-ups like Prezi, Soundcloud, and Evernote. Thanks to its functionality that allows for simple commenting and collaboration on projects, it is the perfect prototyping tool for teams, Version control is another great feature, that sets it apart from many similar types of tools. Using InVision won’t guarantee you their success, but you can’t deny the benefits of association! Axure it a complete app design tool for professional designers, offering a free to use during a 30-day trial. It tries to give you all the functionalities you need to design your app from start to finish. Axure allows for easy app prototyping thanks to highly functional designs and provides functionality for easy team collaboration. Apart from the prototyping, it allows you to also design wireframes, mock-ups, flowcharts, personas, idea boards, user journeys, diagramming and graphical documentations and even more. The interesting thing is, if you are a code freak and will like to do some coding, it allows you to code, and also allows you to add ready to use components and libraries to help you create even better design seamlessly. Proto.io has a lot of features, and it’s easy to use, as no coding is required. For mobile app developers looking to create a realistic and functional prototype that “feels real” this may be music to your ears. They supply users with multiple UI libraries, 3rd party integrations (with partners like Dropbox or Google Drive, allowing you to synchronize files easily to help you simplify your workflow), and even user testing to ensure the user experience is seamless upon launch. More importantly, you can seamlessly import your UI components from Sketch or Photoshop. A basic 15-day free trial allows you access to limited features. Starting at $24/month you can upgrade to a fully-functional account with multiple projects and features. Designed for wireframes and for prototyping this standalone tool can be downloaded and installed onto your own server. Through its powerful widget library and tons of plugins extensions, it allows you to add HTML, videos, online widgets, docs, interactive maps and online/offline to your application. It furthermore allows for integration with JIRA, Microsoft TFS and Doors, and the ability to manage your team members from the same platform. “Design is not just what it looks like and feels like. Design is how it works.” Is a famous saying by Steve Jobs. Sometimes, we all need a little bit of inspiration. If you are looking for guidance, and a little inspiration to help remove the creative block, these free tools can help you wrap your head around the perfect design for either mobile operating system. This bare-bones website/app gallery focuses specifically on just showcasing beautiful iOS 7 designs. With no text or other distractions, and no commentary. There is no better way to familiarize yourself with the in’s and outs of design for an Android. It may surprise you to know that it is significantly less rigid, and remarkably different to that of iOS app design standards. Using Android Patterns is a great crash course in Android Design ( in addition to reading through the Google Play store’s submission materials, like this launch checklist), as it contains a library of Android interaction patterns arranged by app type and include actions such as navigation, notifications, and screen interactions. While these patterns can be helpful they should be taken as a guide, but not absolute rules. Icons8 provides a library of over 53,800 icons that are completely free to use. Perfect for helping you visualise what your final product will look like. 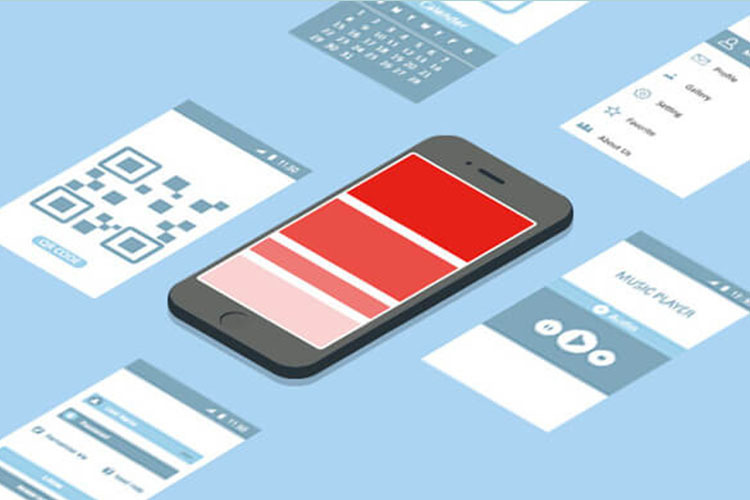 Adobe has a vast array of resources for those looking to design a mobile app, from beginner to advanced levels of design. One of the simplest and most useful is their colour scheme tool. From monochromatic to complementary, to triad, and more the options are endless. You can even create a colour scheme from an image or browse the colour scheme submissions of others for inspiration. Organized specifically by iPhone, Android, Apple Watch, and iPad, Mobile Design Inspiration is the largest inspiration gallery for mobile app design that we know of. New designs are added weekly, and their “Creative Fields” section can provide additional inspiration if you’re also working on designing an app logo. XD is the direct competitor of Sketch, it is ridiculously fast and easy to use. If you’re a PC fan and have been looking to use Sketch but have been unable to due to its exclusively supports Mac, then, this is good news for you. XD provides you with basically all the features you get from Sketch—wireframe, prototyping, and more. Origami Studio is a complex standalone interface design tool with great functionalities Originally developed by Facebooks it is now available for free. Highlights include the ability to preview your app prototype, and see live changes as you work on it, by connecting to the Origami app on your iOS or Android device, coping and pasting layers from Sketch, and more. Another cool functionality is the ability to record your prototype and quickly send it to anyone from the Origami app, even clients. 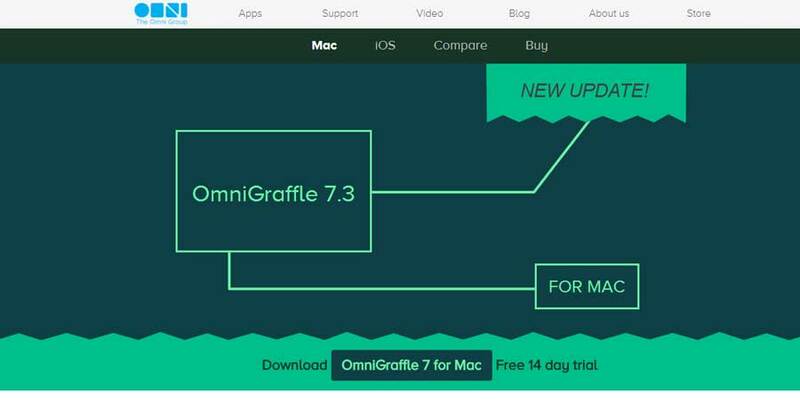 OmniGraffle is another design tool that allows you to quickly visualize the flow of your app. It helps you in planning your app development without much hassle, by providing the features and freedom to prototype strategy maps, wireframes, screen flows, and a range of diagrams. 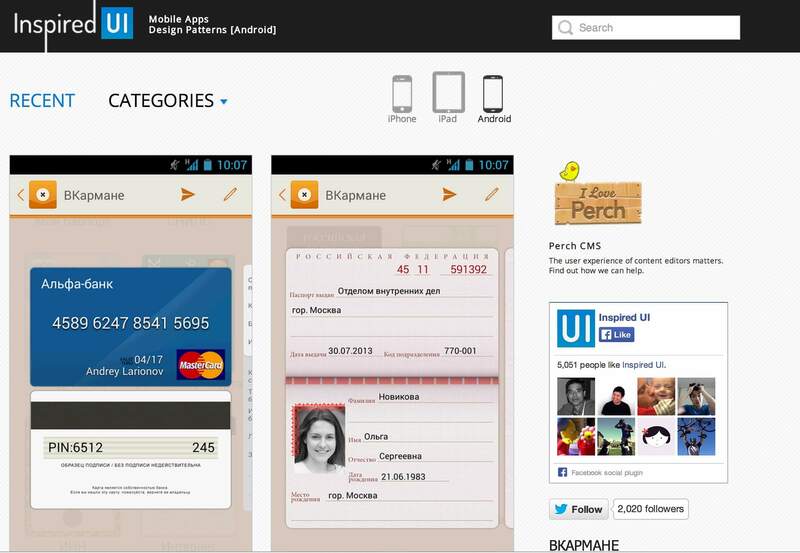 Need to design a prototype mobile application that needs a specific user interface? Looking for a powerful interface designing tool that allows you to do this? Then web-based HotGloo is for you. Apart from its extraordinary interactive features, it caters for many designers to work on a single wireframe project from anywhere, all they need is an internet connection. Old fashioned as It may be. A UI stencil kit is a tool every designer must have. Does it look like all odds are against you on the best tools in the market because you’re not on Mac? Maybe you want to collaborate with your team and everyone is using Mac and now you’re thinking of getting a Mac because you want to be able to use Sketch? 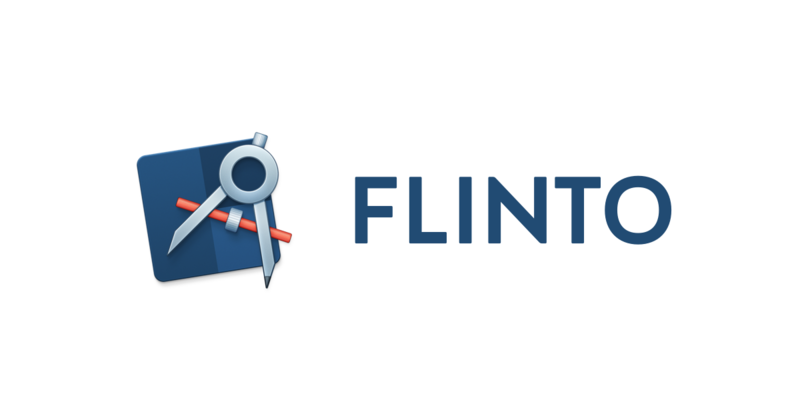 Well, Flinto has a web and Mac version, you can easily import your Sketch and Photoshop designs and join your team. You’ll never feel like you’re left out. It’s super-fast, mirrors iPhone and Android transition animations, it supports prototype previewing, and sharing the installation link is simple — just send a link to whoever you want to from the app. With FramerJS you can create powerful wireframes and prototypes. It is however not a tool that you can start using straight after visiting the website, you will need to spend some time training in the use of it. Training is provided for free. Framer, is one of the few mobile app design tools where you’re limited only by your imagination. It is flexible and interactive and allows you to code or use their visual editor if you’re just a visual designer. The benefit of FramerJS visual editor is it auto-generates the corresponding code at the backend, allowing you to re-use it if you like to play around with the code, if you are a coder. It boasts an easy workflow, previewing of your prototypes, and can easily import designs from Sketch, Figma, and Photoshop and collaborate with your team members. inVision is the tool to use if you want to add animations, gestures, and transitions to your static prototype, turning your designs into interactive and clickable prototypes. It offers effective collaboration for simple management of your workflows. 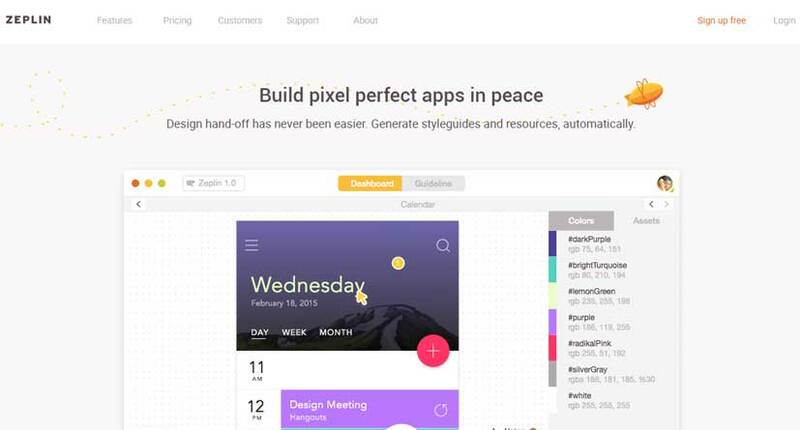 Zeplin is the ultimate collaboration tool created for app designers and developers. It goes far beyond design and workflow management, by cutting meeting times in half and ensuring that designs are implemented perfectly, however complex. Designed to keep everyone on the same page, everyone in the team can access up to date design resources and get notified of changes. Zeplin allows you to upload your wireframes and visual designs from Photoshop and Sketch and add them to your project folder, before automatically generating accurate specs, assets and code snippets from designs—tailored for the platform you’re developing for. No more getting lost in design files. Developers also don’t have to wait until designers finish the design before getting the specs, as developers can be introduced early enough to the process. Building a product specification document and reiterating it every other time can really be tedious—with Zeplin you don’t ever have to do that, as iterations can be done at the same time—thereby reducing the number of iterations for a project. Zeplin is the ultimate collaboration tool created for app designers and developers. It goes far beyond design and workflow management, by cutting meeting times in half and ensuring that designs are implemented perfectly, however complex. Designed to keep everyone on the same page, everyone in the team can access up to date design resources and get notified of changes.Zeplin allows you to upload your wireframes and visual designs from Photoshop and Sketch and add them to your project folder, before automatically generating accurate specs, assets and code snippets from designs—tailored for the platform you’re developing for. No more getting lost in design files.Developers also don’t have to wait until designers finish the design before getting the specs, as developers can be introduced early enough to the process. Building a product specification document and reiterating it every other time can really be tedious—with Zeplin you don’t ever have to do that, as iterations can be done at the same time—thereby reducing the number of iterations for a project. Searching for and organizing your icons all the time can be really stressful and time consuming. With Iconjar you can eliminate this hassle. Iconjar allows you to upload and store all your icons in one place from where you can drag and drop to them into your project on Sketch, Photoshop or illustrator. The only downside is you may not be able to upload .ai and .sketch files. InVision App is a design protocol tool that transforms static designs into clickable prototypes that support gestures, transitions and animations. You load in your static mock-ups, then define which areas you want to be interactive, and what they should do. For example, make a menu item clickable, so that it transitions to another page. Clients can click on any part of your design in order to communicate to you what they like and dislike. This feedback can then be transformed into a to-do list. InVision App is free to use for one project. Three projects costs $15 per month and unlimited projects costs $25 per month. Cool Mockups offers a huge collection of premium mock-up designs for iPhones, iPads, and MacBook’s and a couple of free designs. Designs are available individually with prices starting at only $5 for a single PSD file, or as collections which offer much better value. For example, you can purchase a collection of 29 MacBook and iPad mock-ups for only $11. All designs are Photoshop files that can be saved as a flat screenshot or an image to a smart object layer, which is then automatically inserted into the 3D scene. 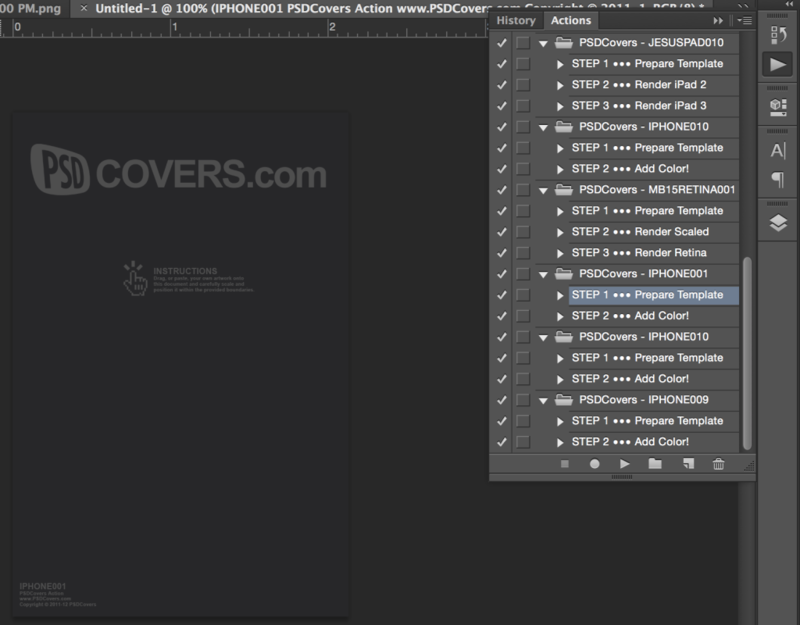 Unlike the name suggests PSD Covers are not .psd files, but Photoshop actions. It offers a good collection of PSD files that can be used to create mock-up designs for books, boxes, DVD Cases, mobile designs, and more. Its large tutorial section offers good explains on how to load Photoshop actions into Photoshop, how to play the actions to create the base file, adding images, to then create the 3D mock-up designs. Pixeden has a large collection of free and premium user interfaces and mobile app graphic kits predominantly geared towards iPhones and iPads. Membership plans start at only $10 per month, $96 per year, or $72 per year for premium subscriptions. 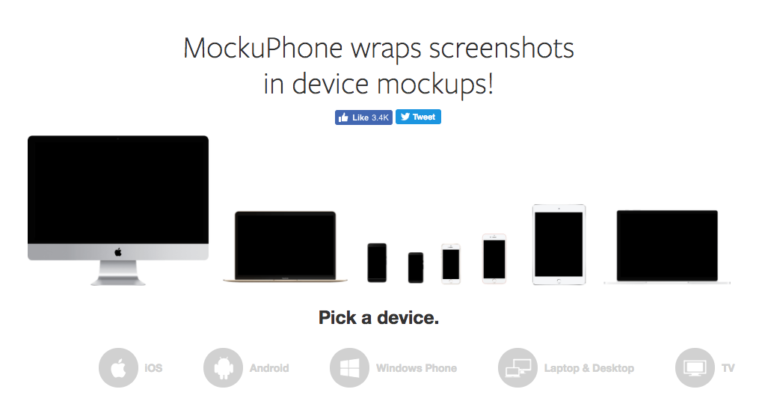 MockUPhone is a free and simple to use screenshots device mock-ups generator. 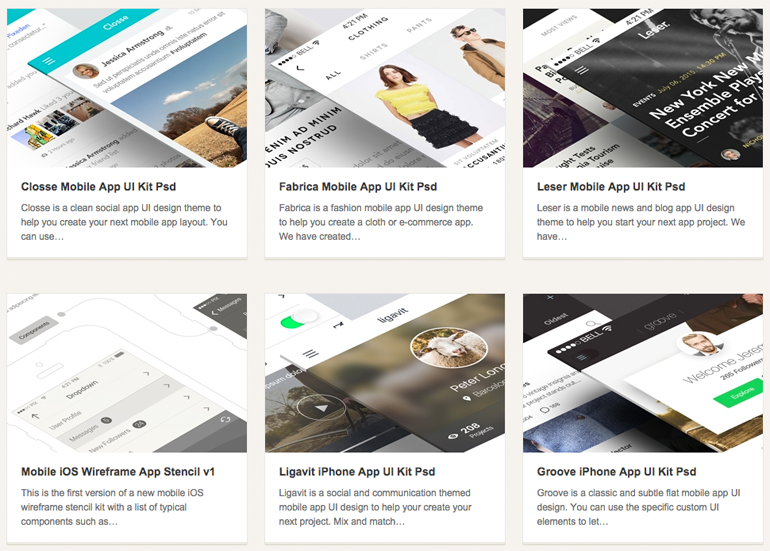 Simply pick a devise, upload your file, and get your mock-up. Interestingly the also offer mock-ups for devices such as large TVs, Microsoft Surface, as well as a d a good variety of Android devices. Still in Beta Mokk.me is a free tool that allows you to easily create mobile web application mock-ups for iPhone, Android, and WebOS you can share, test on multiple platforms, and reuse the HTML, UI CSS and JS, and add behaviour with jQuery to build your production solution. The interface is intuitive and easy to use, with a simple drag and drop of fields and elements into the mobile interface. Everything can be moved around, configured, or deleted; whether it be text, images, forms, buttons, or maps. NinjaMock is a collaborative online service that lets you create wireframe designs for iOS, Android, Windows, and browsers in a few minutes. Mock-ups can be saved in PNG, HTML or PDF format and the document emailed or just printed out for a meeting. A visual editor gives you all the controls you need for creating your mock-up, while the vector editor lets you create things by freehand. 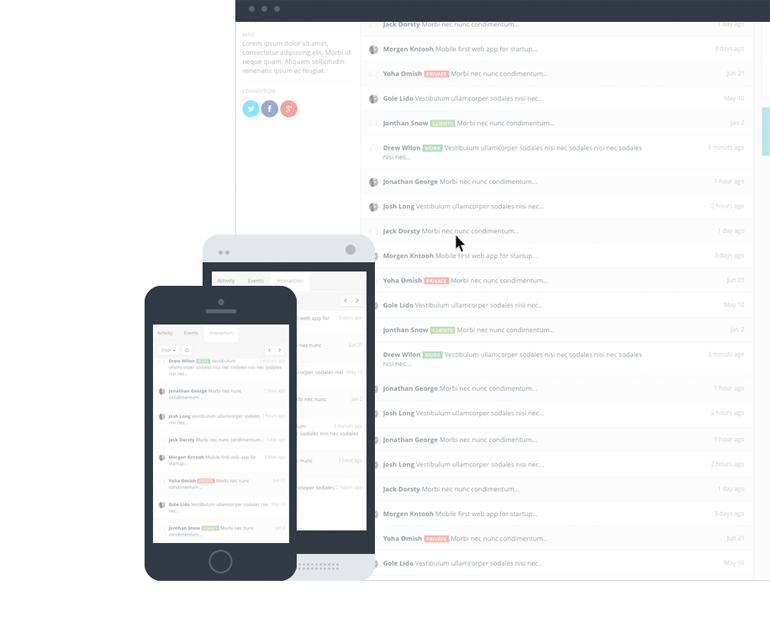 NinjaMock enables you to easily collect feedback on your wireframe design from anyone, and you can keep track of your communication directly within the project. The service is free for those of you who want to create three projects for non-commercial use. Unlimited projects costs $10 per month. Used by the very best product designers in the world Fluid UI assist you in visualizing the flow of your mobile app interface. 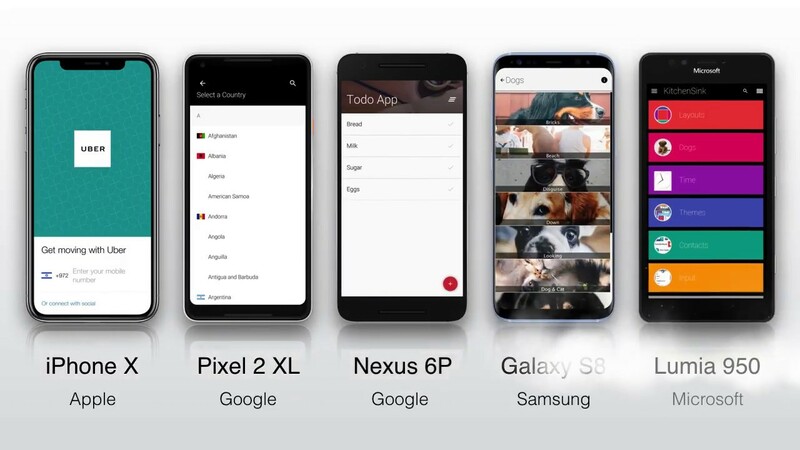 As with other tools mock-ups can be tested on iOS and Android and shared with clients, however what sets it apart from other tools is the huge collection of 3,500 mobile, tablet, desktop, and wearable widgets that it offers. The service is free to use for one project and ten pages. The Lite plan costs $12 per month and allows one project, an unlimited number of pages, and ten uploads. Upgrading to the standard plan at $29 per month allows ten projects and unlimited projects and pages. It also offers additional tools such as project cloning, exports and printing. Their top plan costs $49 per month and has no restrictions on projects or pages. Marvels POP (Prototyping on paper) App is a service that helps you transform your pen and paper ideas into an interactive iPhone or Android prototype by assisting you to present, explain, and share your app ideas. Mock-ups can be viewed in any device and it integrates perfectly with services such as Dropbox. The free plan allows for two projects and one member, while the basic plan costs $10 per month if paid yearly and offers ten projects and three members. Upgrading to their pro plan at $25 per month allows unlimited projects and team members. The kit contains 45 stylish Android Lollipop inspired elements that can be modified in Sketch, Photoshop, and UXPin. A Nexus 5 body, Nexus 6 body, and over 100 icons, are also included with the download file. Repurposing your source code in the process of developing and applications is a blunder. To avoid it, you need to use libraries in which you will find various suitable tools and apps in creating a new technology. TETHR is an absolutely free design kit for iOS by InVision. It offers eight Photoshop document files and 138 templates with over 250 components that you can adapt and incorporate in your designs. 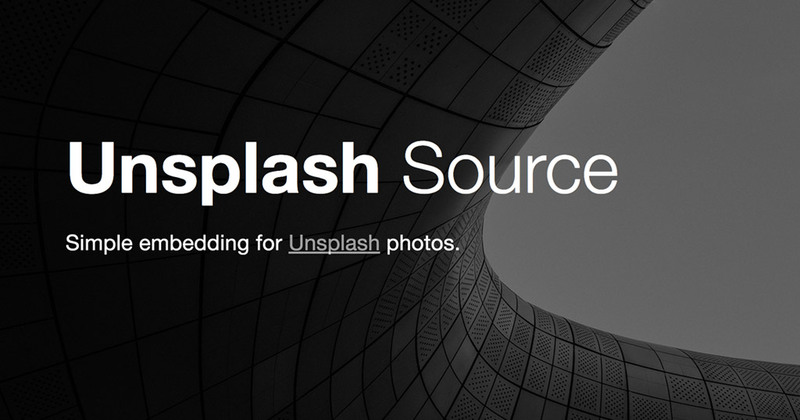 Unsplash makes finding good quality stock images and photos that you can download and use for any project for free easy. It is a great resource to find high-resolution photos free of copyrights that you can use the way you like in your app. This is a free Photoshop resource that helps you create app icons for iOS, OS X and Android apps on the go. App Icon Template is a free Photoshop resource that will assist you in creating app icons for OS X, iOS and Android apps on the go. Built in textures and colours, and with the ability to automatically render out all the various sizes of icons required on Android and iOS, makes it such winner. 144 social icons come in 4 shape types, different colours and monochrome. Every social icon is designed in Photoshop as a vector image, making it easy to edit and the solution to create unique icons for use on your different projects. Images are an important part of web design, and mobile designs are not exceptional. What you need are great quality photos, and this is a great resource for this. 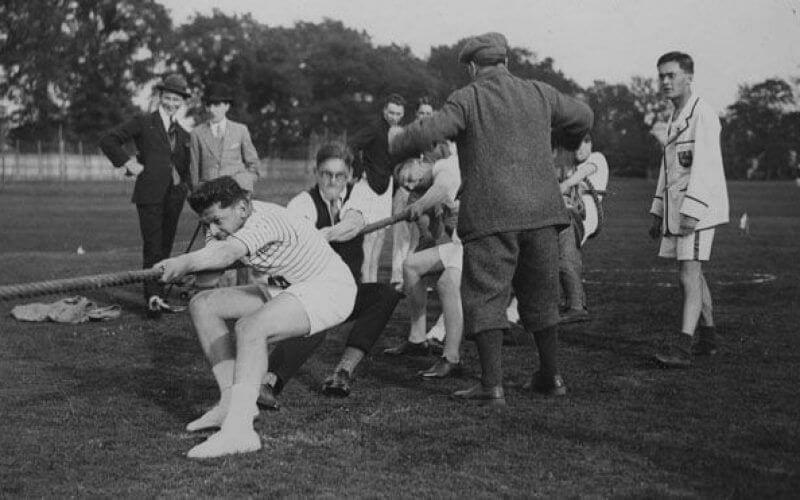 It has an amazing collection of vintage photos from the public archives that you can easily use on your projects. Specific to the Android operating system, Android App Patterns offers amazing design inspiration to app designers offering over 1,600 screenshots of beautifully designed and functional apps across 31 categories. 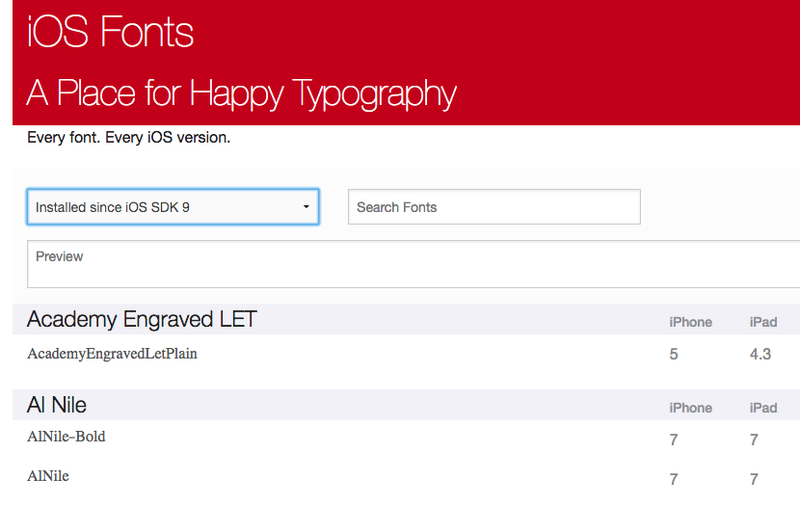 Every iOS font, for every iOS version installed since iOS SDK 3. iOS Fonts features a listing of default iOS fonts in one place with a total of 260 faces for iPhone and iPad. Web and app designers can try out the different fonts by typing a text in the preview box just to see how the results will look like on their Apple device. Sketch is a lightweight MacBook based UI/UX design tool built for modern app designers. 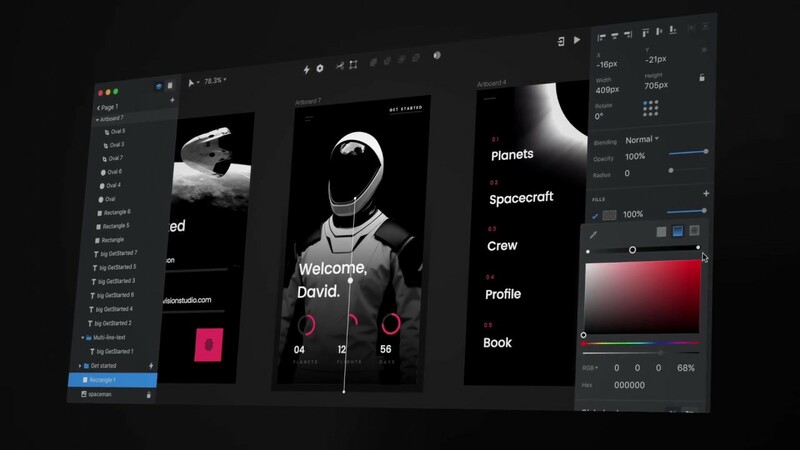 It is very similar to Adobe Photoshop, but it’s built mainly for app prototyping offering powerful features, an intuitive interface and an expansive plugin ecosystem, Sketch lets you create your best work — from your earliest ideas, through to final designs. The download size is about 20 megabytes, it doesn’t use too much system resources, and it exports assets very fast. If you want to edit photos, you’ll have to combine this app with other tools like Photoshop or Adobe illustrator and can’t animate with it. However, it’s a great choice for most app designers. 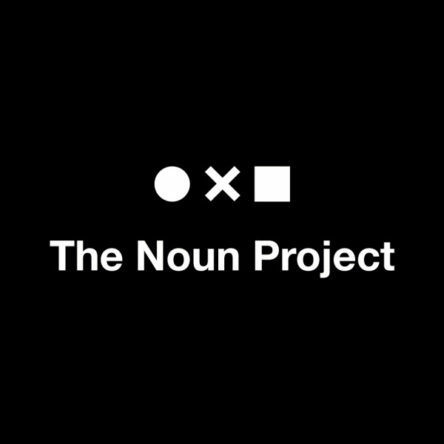 These are but a few resources that could help you give life to and develop prototypes and wireframes unique and best suited to your needs. You definitely won’t have to use all of these tools, just the one that you think your design team needs to move to the next level. 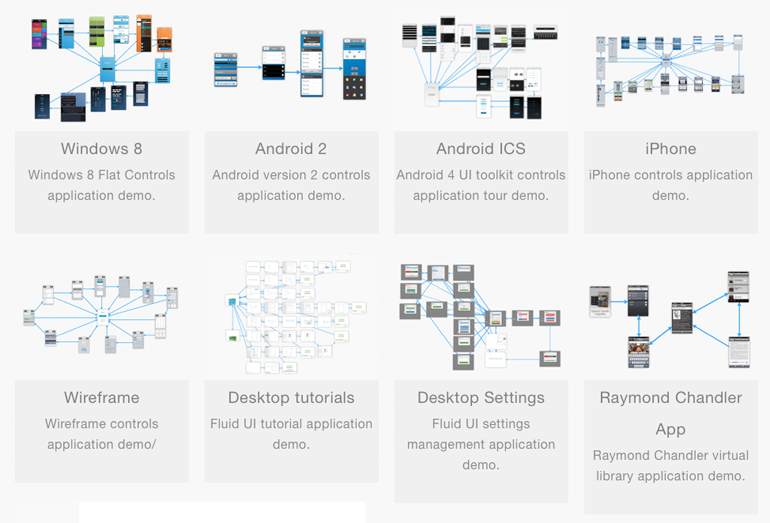 With these resources you can make your app development experience a breeze. There are many different reasons to have an app developed. You might have a great idea or see a need for an app in a specific industry. Perhaps you share the responsibility of streamlining or tying together business process in your company or mundane business repetitive task are just becoming too overwhelming and hard to keep track off. So, what are the important things to consider when choosing a platform for your mobile application? 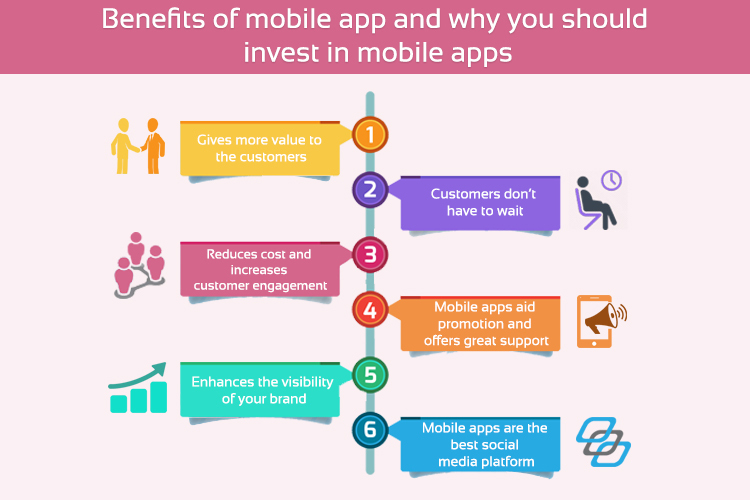 At iSolve mobility we’ve build up considerable experience with developing mobile applications, which we are sharing with you in this article. The first step is to get clued up on the technology options available for mobile app development to give you a point of reference when discussing options with your mobile app developer. The most affordable to develop – developing web applications require coding skills which are commonly available, and are the cheapest way to bring an app to market. Works well with other apps – It’s easy to customise a web app to send and receive information from other web apps, such as a shopping cart with accounting software. This makes it possible to integrate different business processes and change it according to your business needs. Can be deployed to any device with internet access and a browser. It’s slow – Web apps cannot use the device’s native operating software, all it’s code are executed through the browser. The browser cannot optimally make use of the device’s operating system and hardware as an application is specifically developed for the device and operating software version. Less intuitive – The programming languages for web development are very cumbersome when it comes to creating slick user interfaces. Web developers create web applications with tools and code that were not originally created for mobile, which very often translates into a poorer experience for user’s vs developing applications with resources that are specific to a device or operating system. Cannot use offline. Mobile users cannot access the app content or store data to send later when offline. With more than 85% percent market share worldwide and more than 60% in South Africa, Android is the dominant mobile operating system today. It runs on countless models of smartphones and tablets, as well as many other devices. This doesn’t mean that android should be the default choice, as this ubiquitous operating system also has its drawbacks. Most smartphone users use Android. 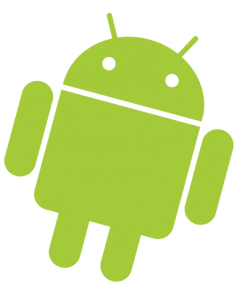 – Android devices range from high end to very cheap, representing a huge demographic range. This holds obvious advantages if you are promoting diverse products and services. It’s worth recognising that the bulk if android users are low income earners. Android has a very open development environment, which results in a lot of crowd-created plugins and frameworks. As a result, there are a lot of creative possibilities when it comes to features and functionality of mobile apps that does not exist with other platforms. There’s an android device at every price point, allowing you to target users from almost every market segment. It’s easy to change the things that helps your app to get found on the app store, such as the title, description and keywords. That makes it easy to tweak your app to help your ideal customers find it. The keywords in the title. Disadvantages of launching app on Android. Software fragmentation. At any moment, there are several different versions of Android in use at the same time, because mobile service providers and device manufacturers decide when to roll out version updates. 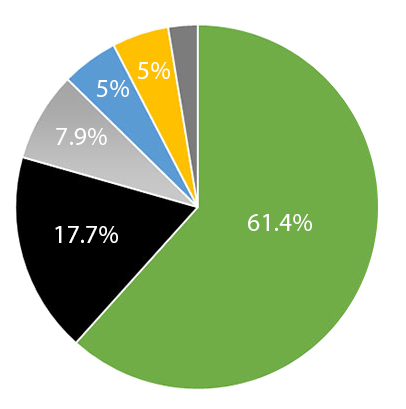 A staggering 18.8 % of Android users still use the Android KitKat released in 2013 as opposed to the 6.6 % that use the latest version, Nougat, that was released in 2016. Fragmentation makes it impossible to deploy just a standard version of your app and as a result it will have a huge impact on the cost of your application and how long it takes to be developed if you go the Android route. Device fragmentation. Similarly, there are a huge variety of Android devices, from high end to dirt cheap. For instance, cheaper phones might have lower specs and run slower. This means an app that runs well one device might not work well on another. While this concern might be addressed with market segmentation, it does add another layer of complexity. iOS is the mobile operating system that runs on Apple’s mobile devices such as iPhones and iPads. Apple maintains a closed ecosystem – only devices manufactured by Apple can run iOS, and apps that are downloaded on those devices are strictly controlled by Apple. Apple products are generally more expensive, and as a result user on the platform are generally more affluent. Cost and time of development. Developers just need to ensure that their apps work well on a small range of iPhones and/or iPads as opposed to the thousands of different android devices that are available. iOS users are spending more than android users on in app purchases and are more likely to buy online (m-commerce) than Android users. iOS users make up a very narrow niche that may not suit all business models. More than 90% of all apps on the iOS app store are never downloaded by anyone at all, and Apple isn’t helping the situation either. Once an app is approved on the app store you cannot easily change the aspects that affects discoverability such as content, keywords and the title, without submitting a revision. You just have to get clued up on discoverability (app store optimisation and localisation) and implement it from the get go if you plan to spend any resources in developing an iOS app. While developing for iOS is a bit more straightforward than most of the frameworks and plugins are proprietary, which will increase the cost of development. Web apps trumps both native platforms when it comes to cost and accessibility, the same set of code can be rendered on any device that have internet access and a browser. However, with the current technology web applications are not as fast and cannot give users the same intuitive experience as native apps that interacts with the device’s own operating system. Getting found is no mystery when you use SEO and digital marketing strategies, but getting users to return is a challenge when you don’t have the benefit of a constant presence on the user’s device and the ability to send well timed notifications. Android applications have a wide reach, with users distributed across market segments on devices at almost every price point. 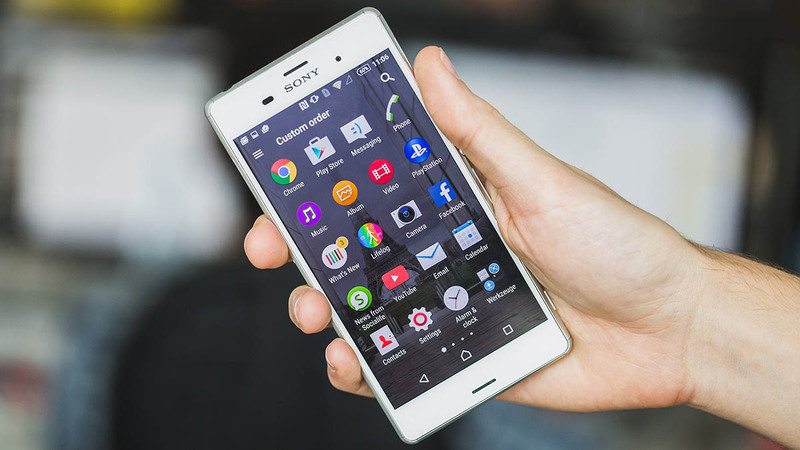 Low income earners in South Africa that have a smartphone are likely to have an Android device, and the sheer number in this segment means represents significant buying power. It’s also much easier for people who don’t have access to sophisticated banking services to buy apps, books and music with Google Play gift cards available in almost every major supermarket in South Africa. It’s a massive and growing market that are increasingly using mobile to do business, transact, connect and be entertained. However, access to this broad market will come at a steep price in time and costs as your development time and labour are spend on catering for every device and operating system version. Although the iOS Development journey is straightforward, you need to hire a developer who knows and have experience of dealing with Apple’s strict guidelines to make sure your app is approved the first time it’s submitted. In many aspects, there are not much leeway to fiddle around, as things like optimisation for discovery ideally needs to get done right the first time around. Secondly, you should be willing to spend a considerable amount of effort more on promoting your application than you would have on Android, considering the discoverability limitations, and even then, the mature market can make it difficult for your app to get noticed. If you are sure that you have cornered a niche of affluent iOS users whose lives will be infinitely improved if they download your app, then by all means go for it. iOS users are still outspending the massive Android user base worldwide, and if you hit the nail on the head you might just be in for a big pay day. 1. Android was not Found by Google. 2. Android is open source.